A group of armed robbers played by Nadia Buari, Artus Frank, Prince David Osei, Lucky Lawson, Ruby Abodem Bothe and Lude Mawuli break into Chief Rama’s home to steal some money that they know is hiding there and end up shooting his son as both Chief and his wife (Kofi Adjorlolo and Kalsum Sinare) refuse to admit that they have hidden money in the house. It is only after their son is shot that they offer up the money to the robbers. 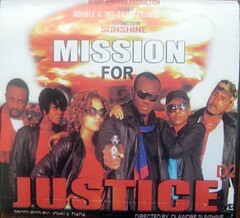 The movie follows the robbers as they try to evade the law in an attempt to hold on to their ill gotten wealth. They are chased all over the city by the police trying to recover the stolen money. Praman has returned from abroad to start studying at a university in Ghana where her mother lives with her uncle. She lives in an isolated hostel away from her friends, preferring the serenity as opposed to being around a lot of people. Trouble starts when Nill takes a liking to her and she rejects him. Refusing to take no for an answer he is determined that he have Praman by any means necessary, and if that means by force then so be it.